Oct 13th 2010: This gorgeous, little, shy and vulnerable kitten was rescued by Martha Kane. Yes, she is being cared for by Martha in Malta. She is a beautiful Maltese cat. Martha doesn’t know I am doing this but I did say that I might. I know there are logistical problems for someone outside of Malta who just might be thinking I could help and adopt her. But we can, perhaps, overcome these when we have to face them. The priority is to see if a visitor can find it in their heart to adopt this beautiful female kitten. So, I wish to appeal to people, ideally from Malta or anywhere to leave a comment if interested. It is a big call. It difficult to re-home cats in Malta and I think Martha would be one of the first to agree that. That is, in part, why she cares for so many cats. 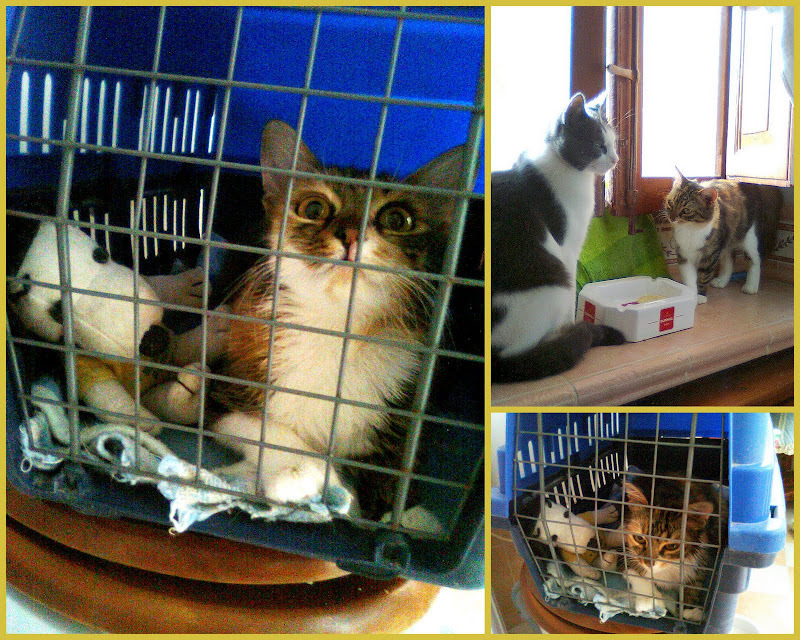 That and the fact that Martha is very particular where her rescue cats are re-homed…;)! She cares that much. I have forgotten this kitten’s name – sorry. I’ll find out and leave a comment. She was downstairs in Martha’s home in her cosy bed. She is well cared for, of course, but she really needs a forever home with a tender, kind and knowledgeable cat carer just like one of the wonderful regular visitors to this site. GOOD NEWS!!! 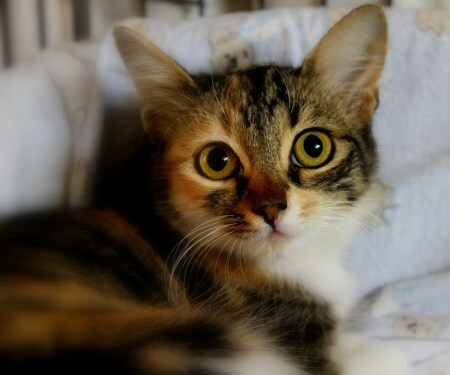 Pupa left yesterday to go to her new home with a friend of mine…..
What a beautiful cat. I would not hesitate to adopt this beauty but our home is filled up right now. We havve a newcommer who wandered into our yard about a month ago. She won our hearts and is staying with us. So that brings us up to 5 furry cats in our 2 room cottage. ON originally bringing Mariel inside we thought she was a polydactyl cat. Upon further examination she has turned out to be a 8 pawed cat. Yes thats right. She has 4 paws on the front. 2 seperate paws on each leg. She also stands on both of them. The second paw has 3 toes. She still hasnt accepted being friends with all of the other cats. She plays a little bit with Quanah our Bengal kitten. But then he did get swatted by one of those huge paws and knows to stay out of their way. She hates my Lia. Too bad he is the king of the house. I believe she is intimidated by his size. She is just a tiny thing who was half starved. Shes much better and looks great now. Sleeping on the couch. on there welfare but we have all become firm friends . Still the trip is always uncomfortable for the cats and nerve racking for me and there is the question of quarantine to consider IF It’s the UK .All these things could be overcome however if a really good home was waiting foR Pupa at the other end . I will wait in anticipation to see if her beautiful photo creates any interest . Thank you again Michael . Yes, Maggie, that sounds correct. I hope someone in Malta picks this up. I don’t discount shipping although it is a big ask. Indeed this is a beautiful kitten. I know very little about exporting and importing kittens. But, I think that to export the kitten needs to have her rabies shots in addition to her usual shots. I know this takes a bit of time too. I hope the kitten finds a home, Michael.